UK Stampin' Up! 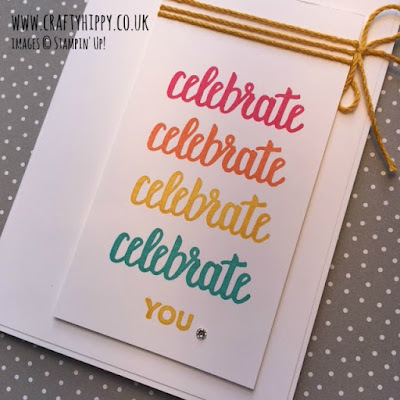 Demonstrator | make beautiful cards | Crafty Hippy: Celebrate with the Amazing You stamp set from Stampin' Up! 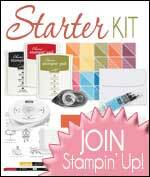 Celebrate with the Amazing You stamp set from Stampin' Up! Get this stamp set FREE! The Amazing You stamp set is another one of our Sale-A-Bration giveaway stamp sets. To claim your free stamp set all you have to do is pick from our range of Sale-A-Bration goodies (not just stamps) when you spend £45 on Stampin' Up! products (excl. P&P). In fact you can claim a free gift for every £45 spent, so spend £150 and you'll be claiming 3 free gifts, plus receive Stampin' Rewards (starts at 10%) which is free money to spend on whatever you like in the Stampin' Up! 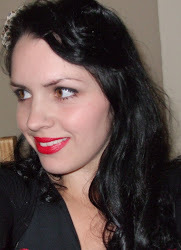 Catalogues. Bargain! I used the Stamp-A-Ma-Jig to line up the stamp perfectly - the Stamp-A-Ma-Jig is one of my top 10 essential craft tools for card making and papercrafts. To use the Stamp-A-Ma-Jig you place the plastic sheet flush to the handle and stamp your image upon it. You then use the plastic sheet to place your image, replace the handle, remove the plastic sheet and then stamp directly onto your project. So easy. You can find the whole list of Stampin' Supplies for this card at the bottom of this post. In acual fact, if you buy all the supplies to make this card you will have spent enough to buy the Amazing You stamp set absolutely free.